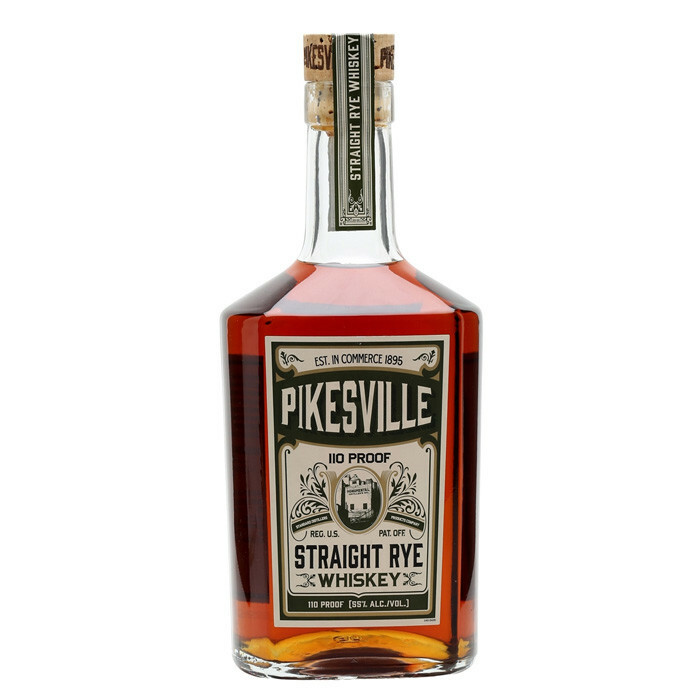 A fantastic rye whiskey produced in Kentucky, the Pikesville brand dates back to 1895 in Maryland. This 6 year old 110 proof was released in 2015, receiving a Double Gold at the San Francisco World Spirits Competition, an "Extraordinary, Ultimate Recommendation" from the Ultimate Spirits Challenge and was named the Second Finest Whisky in the World in Jim Murray's Whisky Bible 2016 as well as the World's Best Rye Whisky at the World Whiskies Awards 2016. Nose: Some dusty spice, a touch of Norwegian hand cream and cocoa at first with sweet liquorice, Curaçao, vanilla custard and crème caramel developing. Palate: Fruity, then wonderfully spicy rye. Sweet liquorice again (specifically the coconutty/nougat-y pink Liquorice Allsorts that have a black bit in the middle), plenty of oak and then clove drops on the tail. Finish: Vanilla with cinnamon and apricot Danish.